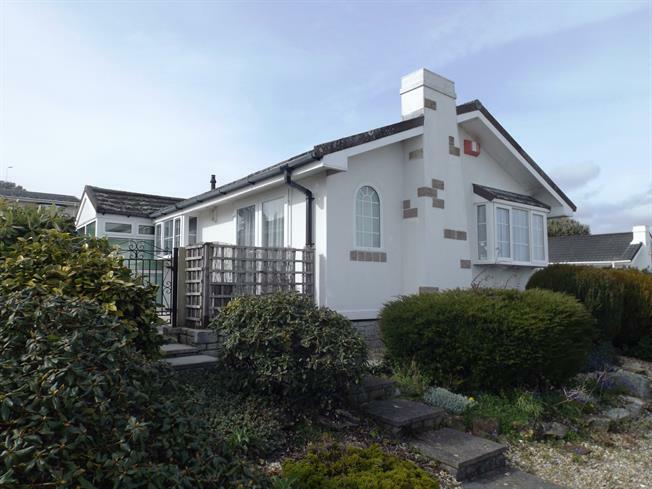 3 Bedroom Detached Bungalow For Sale in Par for Fixed Price £189,950. Set within one of Cornwall's best located park home sites this detached two/three bedroom property enjoys sea and coastal views. The property briefly comprises an open plan style living/dining room, kitchen, utility, two double bedrooms with en suite to the master, a study (or third single bedroom) and family bathroom. There is a mainly laid to patio garden to the rear and side with views to the sea and Gribbin Head. The driveway has parking for 3 cars, plus a garage and an exterior hook up point for a caravan. A viewing is recommended to fully appreciate this spacious home.